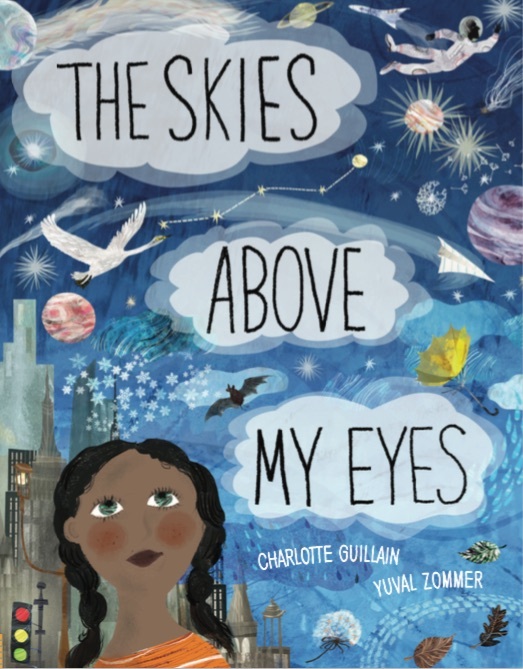 Have you ever looked up and wondered what’s going on high up in the skies above your eyes? Take a journey up into the air, through the atmosphere, way out into space and back down to Earth in this richly illustrated concertina book. This double-sided foldout book written by Charlotte takes you on a fascinating journey deep underground. One side of the foldout shows the ground beneath the city, whilst the reverse side shows the ground beneath the countryside. Yuval Zommer’s amazing underground illustrations include tunnels and pipes, creatures’ burrows, layers of rock and the planet’s molten core. 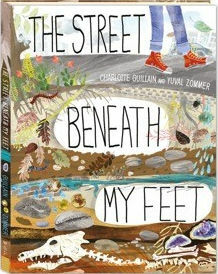 Mixing urban and rural settings, covering subjects such as geology, archaeology and natural history, The Street Beneath My Feet offers children the opportunity to explore their world through a detailed learning experience. And its fold-out style, which extends to 2.5 metres in length, is ideal for spreading out on the floor to pore over for hours. Shortlisted for the UKLA Book Awards 2018 in the 7-11 category.